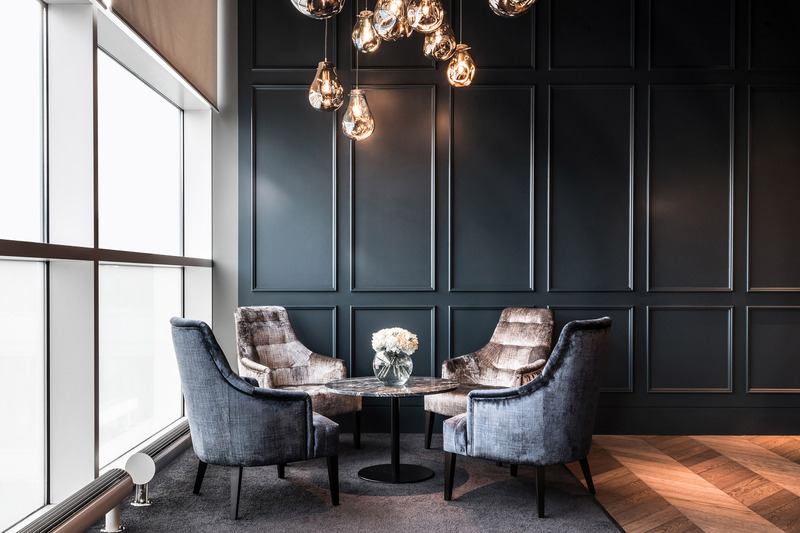 Airport lounge operator No1 Lounges has launched a new Clubrooms lounge at Birmingham Airport, delivering a first-class departure experience for any passenger, regardless of airline or class of travel. Designed in the style of a modern members’ club, the Clubrooms lounge offers full table service, à la carte dining, award-winning wines, classic cocktails and great runway views. This collection of spacious, interconnecting rooms is available to guests aged 12 years and over and is located on the main concourse. Entry costs £35 (US$45) for a stay of up to three hours pre-flight. Guest can also upgrade their visit with free-flowing Moët & Chandon or Veuve Clicquot champagne packages for only £15 (US$19), when booking online. The existing No1 lounge at Birmingham Airport costs £28 (US$36) for adults and £18 (US$23) for children. Phil Cameron, founder and CEO of No1 Lounges, said, “We are absolutely delighted to be opening our second lounge at Birmingham Airport. Our existing lounge has proven to be extremely popular with business and leisure travelers alike, so it was a natural step for us to open a second lounge at the airport, offering greater choice, and an even more refined and memorable experience to our guests – all for a price that represents great value.